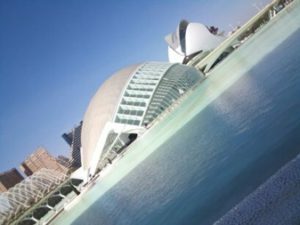 European Voluntary Service to Support the Valencian social Empowerment - KATRIN KRASS - 9 Months EVS in Go Europe Valencia - Article in English - Noored Ühiskonna Heaks! 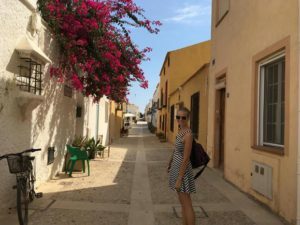 I’m Katrin and this is the summary of my European voluntary service in Valencia. First of all, I decided to do EVS because I got to the point of my life because I felt that I’m stuck. I had finished with my studies in university and didn’t find a professional job as soon as I wanted so I was working as a waitress for a year. 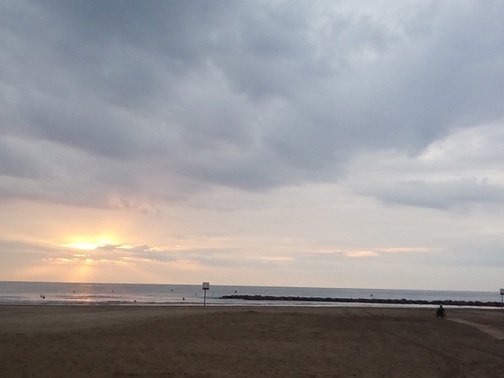 During that year I realised that I need a change: a change of scenery, change of lifestyle, everything. So I started to look for volunteering opportunities and it was not easy for me at first but then luckily enough I found that Noored Ühiskonna heaks has a partnership with and organization in Valencia and of course I applied straight away because I knew that I want to come to Spain and the project type wasn’t the most important thing for me because my main goal was to try something different and learn new things. Alright, enough about the introduction, let’s get to the business. I did my EVS in organization called GoEurope, which main goal is to help young people through different Erasmus+ programs. I was working with 2 other volunteers in the beginning but half way through the girl from Italy quit the project, so it was just me and the Romanian girl (Flavia). 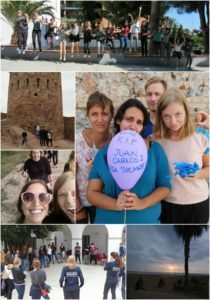 Our main tasks as volunteer were: organising English café for young Spaniards in order for them to practice English; help with project management and also a bit of project writing; promote the organization on social media and at different events; look for potential partnerships and promote Erasmus+. Through these activities I learned that it’s not easy to motivate young people to practice English and for an event to be successful it needs a very good promotion. 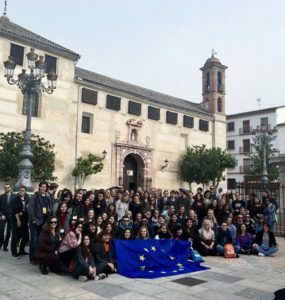 I got to know the Erasmus+ world better and gained knew knowledge about project writing and management. During my volunteering process I also took part in the on-arrival training and mid-term training, which are a part of EVS program. The first training was more about introducing EVS and getting us ready for our upcoming life as a volunteer. The second training was more focused on reflection and analysing our project and it was more personal. The trainings were a good way to get to know other volunteers and spend a nice time out of my usual “reality”. 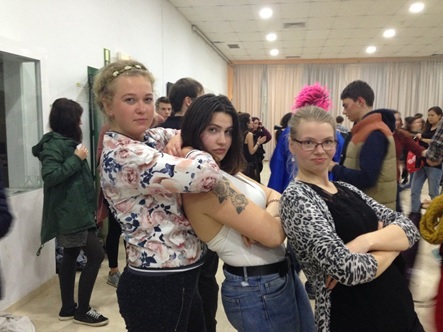 At the mid-term evaluation I met Estonians after 6 months and I was so happy that I got to speak Estonian. I met other Estonians, yay! 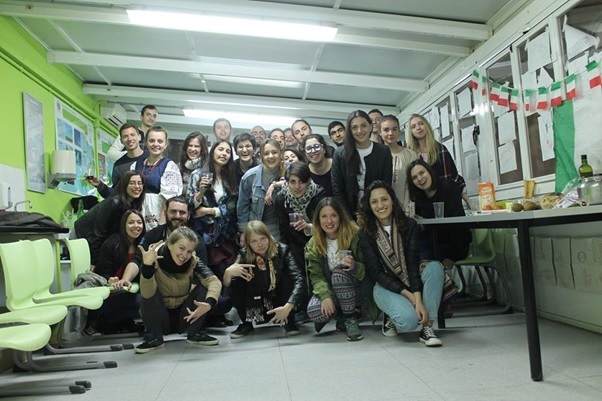 One other very cool thing I got to do during my volunteering was helping to organize a youth exchange. 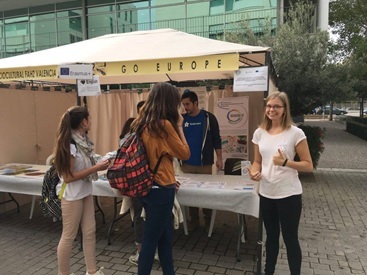 The youth exchange was held by Valencia youth council but since GoEurope shares a working space with them and they needed help, I decided to get involved and help to organize it. I helped to create ideas for the workshops; also did energizers for the participants and in general I was like an assistant for the main organizer and helped her with whatever she needed. It was a great experience because now I got to see the youth exchange from the organizers point of view and I learned a lot of new tricks to use in non-formal education. Surely EVS is not only about working, it’s also about getting to know new culture, learn a new language, make new friends and travel. 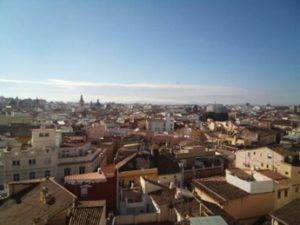 During my EVS I learned a lot of new things about Spain and got to experience a very traditional celebration in Valencia (Las Fallas). I’m very happy that I met Flavia because we became good friends and I know we will stay in touch for a long time. I got to see many beautiful places in Spain and enjoy the warm weather and beach. To sum up I thought that EVS would help me figure out what I want to do with my life, well, that didn’t happen the experience is something I will never forget. I have grown in so many ways during these 9 months. I think everybody should do something like that in their lives because it makes your life so much richer.